Love-A-Lot Bear ~ Care Bears. 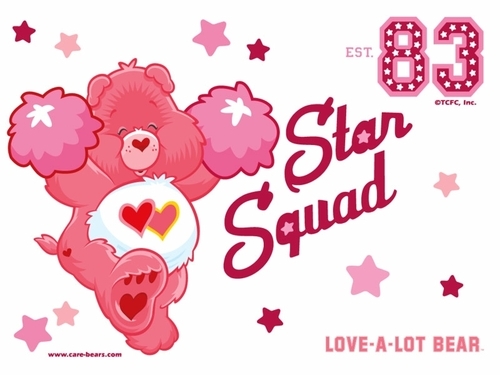 This is a photo of Lov-ALot Bear from the Care Bears.. HD Wallpaper and background images in the Care Bears club tagged: care bears love a lot bear star squad desktop wallpapers pink pictures photos images stars fans. This is a photo of Lov-ALot Bear from the Care Bears. I LOVE this pic! The Care Bears are my favourite childhood classic - I used to watch all the TV episodes and had the film on VHS! UNIQLO are soon to launch a link collection, some of the designs are so cute! They're featured on UNIQLO's link.